The New Market Tax Credit is designed to lift up areas that need it most. These are the worn-out, run-down neighborhoods that often make up urban cores. Fortunately, the tax credit is flexible enough to support a variety of real estate projects and jumpstart economic development. For many communities, that begins with a new grocery store. Let’s take a look. Why do urban cores lack quality grocery stores? The grocery stores formerly located in urban cores were typically smaller, locally owned outlets. When they were driven out of business by the savings of the big box retailers opening in the suburbs, no stores took their place. But because grocery stores operate in such a low-margin industry, big box retailers are hesitant to enter urban core markets. Cities will often construct or build stores and lease them at a significantly discounted rate just to get a grocery operator interested. What makes grocery stores such great fits for the NMTC program? For years, First Lady Michelle Obama had a campaign to alleviate urban cores’ lack of access to fresh, healthy food and establish better lifestyles for residents. Areas located more than a mile from a grocery store were designated “food deserts” by the USDA and made a target for new, grocery-centric development. In response, the Obama administration added an element to the New Market Tax Credit eligibility application asking developers how their project would improve access to fresh food. This incentivized CDFIs to invest in food deserts, as their NMTC applications were then scored more favorably. To learn more about the program and how NMTCs are awarded, read our post on New Market Tax Credits, explained. Grocery stores also fill vital roles within our communities. They are neighborhood anchors, gathering spaces and job centers. 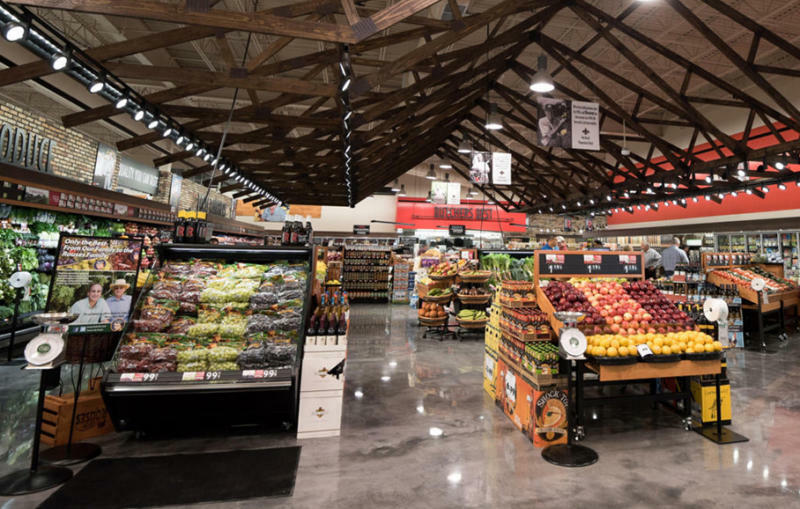 NMTC projects are evaluated primarily by the benefits they drive to the community, and grocery stores are a key source of long-term, consistent benefits that have a positive influence on residents’ lifestyles. We saw this impact for ourselves in one of our most recent projects, Rouse’s Market in Louisiana. How does Sunflower navigate the NMTC process for grocery projects? We’ve been there. After years of securing New Market Tax Credits in Kansas City, we’re now lending our expertise to help organizations nationwide transform their local communities. Our New Market Tax Credit consultants will partner with you to navigate the financial road between your project’s conception and completion.